On Friday, the Saudi-led coalition announced it would investigate the attack. 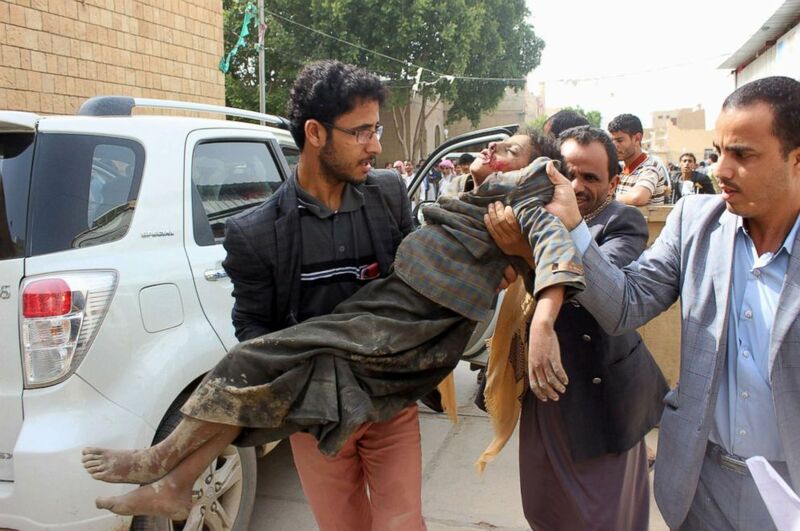 Houthi rebels welcomed a call for an international investigation into an airstrike that killed dozens of children traveling on a school bus in Yemen's Saada province Thursday. "We welcome the call of the United Nations secretary general and are ready to cooperate," Mohammed Ali al-Houthi, the senior leader of the Shiite Houthi group, said in a tweet in Arabic on Friday. U.N. Secretary-General António Guterres condemned the airstrike by the U.S.-backed, Saudi-led coalition and called for an "independent and prompt investigation" into the attack in a statement on Thursday. (Naif Rahma/Reuters) A Yemeni man holds a boy who was injured by an airstrike in Saada, Yemen, Aug. 9, 2018. On Friday, the Saudi-led coalition announced it would investigate the attack. According to the Saudi Press Agency, a senior official in the coalition made the decision after having seen media reports, including reports from relief agencies, about the incident. On Thursday, the International Committee of the Red Cross said on Twitter that its hospital in Saada received the bodies of 29 children. The hospital also received 48 injured people, including 30 children. The majority of the patients were under the age of 10, the ICRC said. - the bodies of 29 children, all under 15 years old. - 48 injured people, among them 30 children. On Friday, the ICRC, citing authorities in Saada, said that 51 people were killed in the attack, including 40 children, while 79 people had been injured, including 56 children. 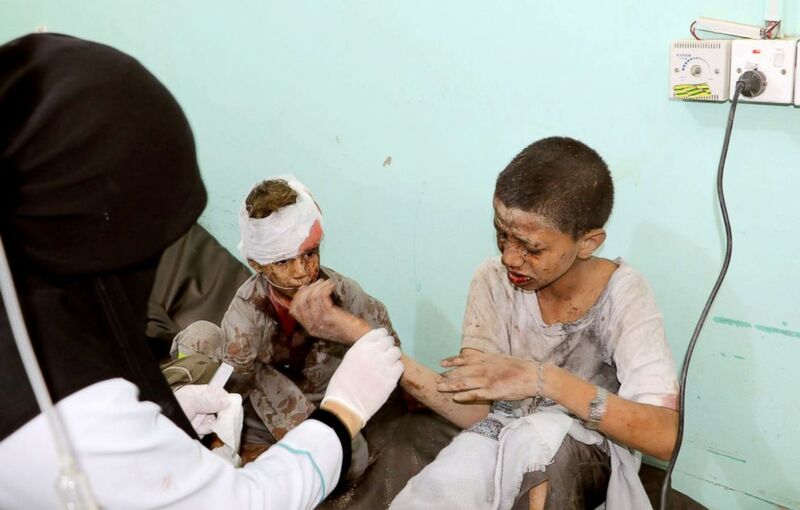 (Naif Rahma /Reuters) A doctor treats children injured by an airstrike in Saada, Yemen, Aug. 9, 2018. On Thursday, State Department spokeswoman Heather Nauert called on the Saudi government to conduct a "thorough and transparent investigation” into the attack during a press briefing. 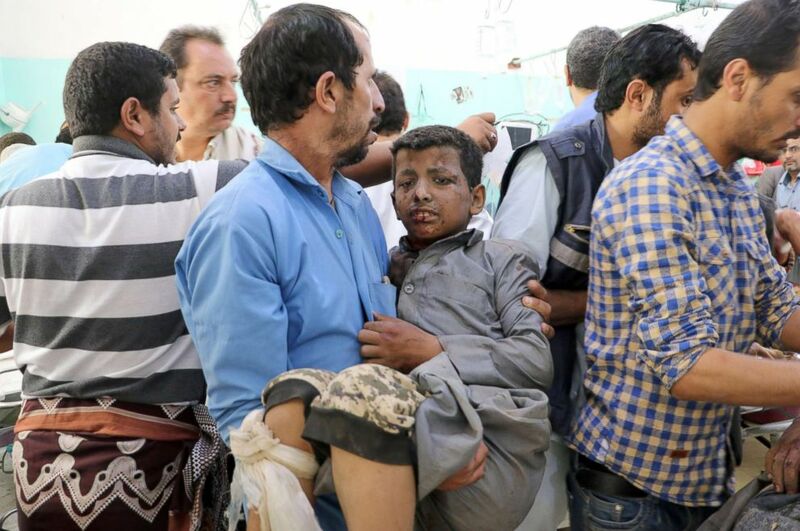 (AFP/Getty Images) A Yemeni child is transported to a hospital after being being wounded in a reported air strike on the Iran-backed Huthi rebels' stronghold province of Saada, Aug. 9, 2018. But when asked by reporters whether she saw the need for an independent investigation, Nauert would not say. “This is something that is fresh, that just happened, so I’m not going to get ahead of any kind of investigation that may take place,” Nauert said. 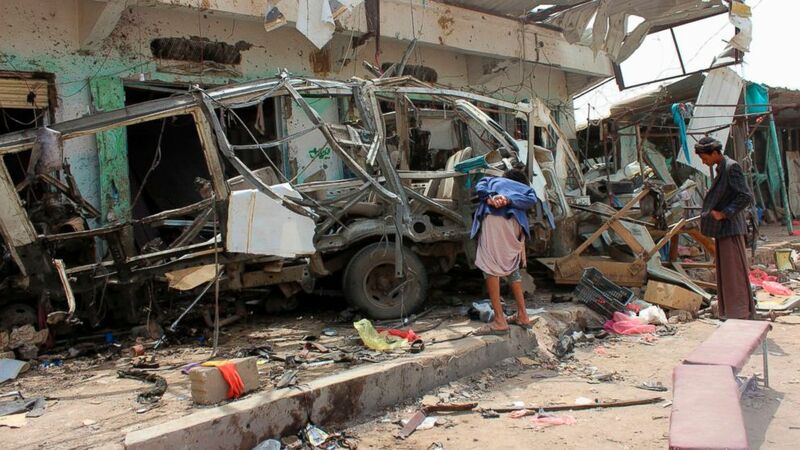 (AFP/Getty Images) Yemenis gather next to the destroyed bus at the site of a Saudi-led coalition air strike, that targeted the Dahyan market the previous day in the Huthi rebels' stronghold province of Saada, Aug. 10, 2018. The Saudi-led coalition has been fighting Houthi rebels in Yemen since March 2015. After the Houthis took over the capital of Sanaa and forced interim president Abdrabbuh Mansour Hadi and his government to flee the country, the Arab Sunni coalition, led by Saudi Arabia, launched a war to restore Hadi’s government to power. Since then, more than 10,000 people have been killed, and the coalition has been blamed by the United Nations for most of the civilian deaths. Western countries, including the U.S. and the U.K., back the coalition and have supplied it with weapons and other military equipment. Yemen is one of the world’s poorest countries and the war has made conditions there much worse. More than 22 million people are in need of humanitarian assistance and more than half of the country’s health facilities are out of service, according to the U.N. Office for the Coordination of Humanitarian Affairs.